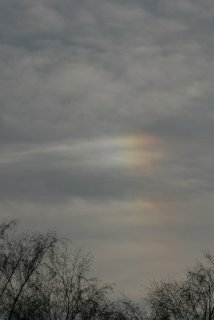 Several halo effects were seen spread over 2 hours on this spring Friday afternoon. 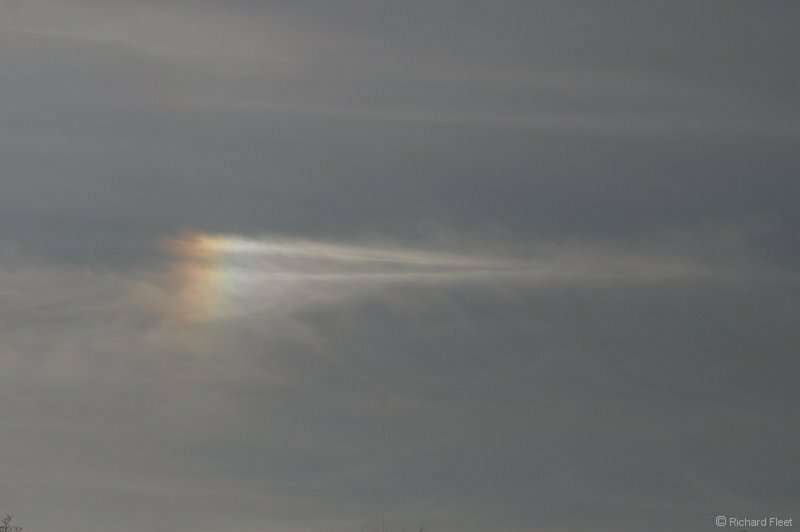 As usual sundogs dominated the display, some of them quite bright. 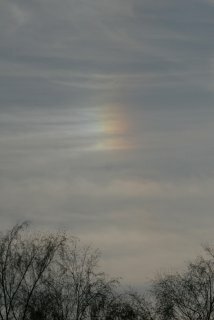 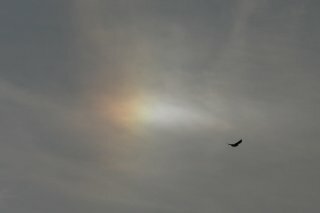 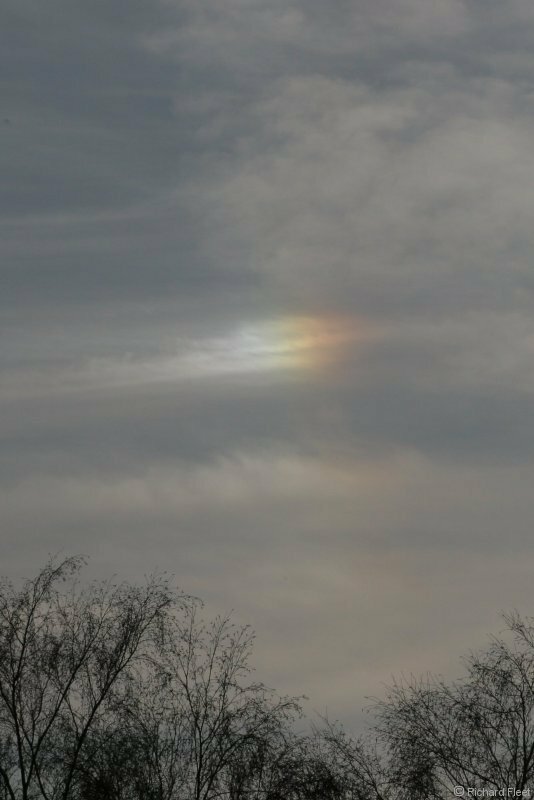 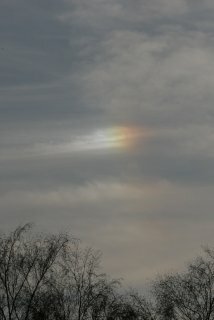 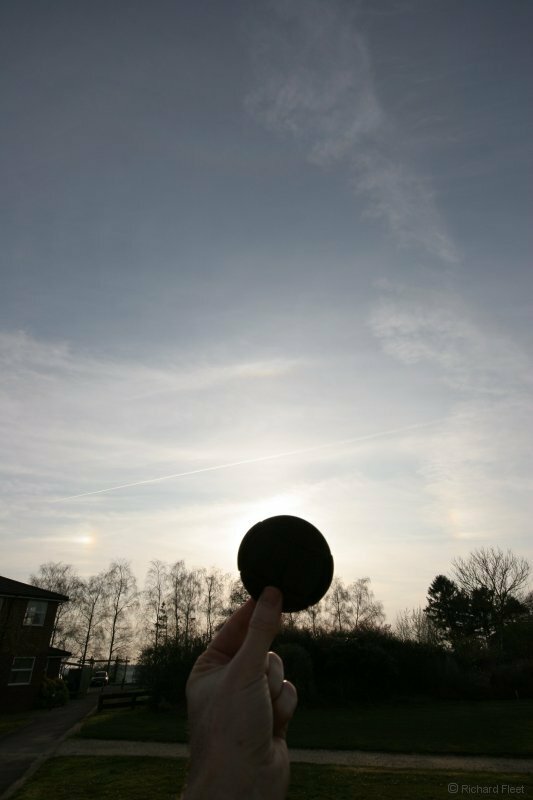 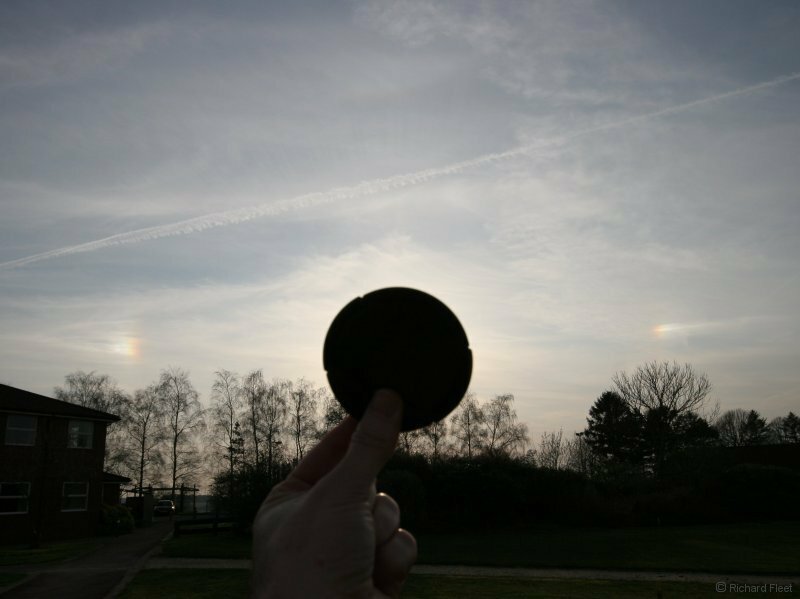 Over a period of 4 minutes the left sundog appeared to change structure as the cirrus moved through its location. 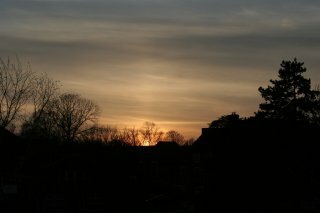 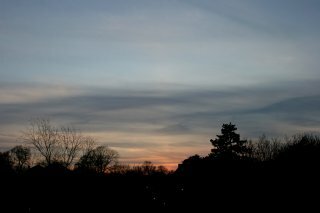 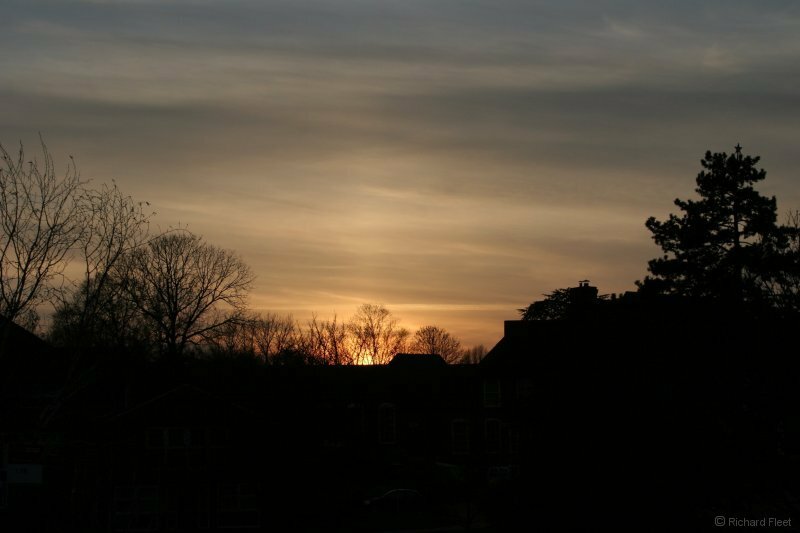 The display finished at sunset with this weak sun pillar, images 8 minutes apart. 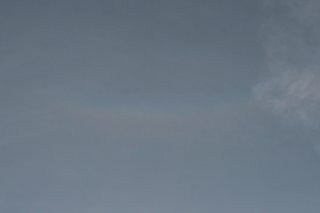 What was striking in the last one is just how far up it reached, almost to the top of the image.